Bananas are one of the most commonly consumed fruits in the world. Everyone can easily purchase it at a very low price. It contains high fiber and potassium. It has plenty of benefits but few people have doubts about banana due to their high level of sugar. Let’s talk about banana and their health results. Strong Bones– Potassium protects against osteoporosis and magnesium play an important part in bone formation. Improve Digestion– Banana is a rich source of fiber. It improves the bowel movement of the body. Increase energy– Banana is a high source of energy and it helps to increase the stamina of the body. Cures Heartburn– Banana cures the heartburn as they boost the protective mucus layer and balance the pH level of the stomach. Lower Blood Pressure– Banana have magnesium which helpful in regulating the blood pressure. Healthy Eyes– Banana contain vitamin A which prevents macular degeneration and rebuild vision. 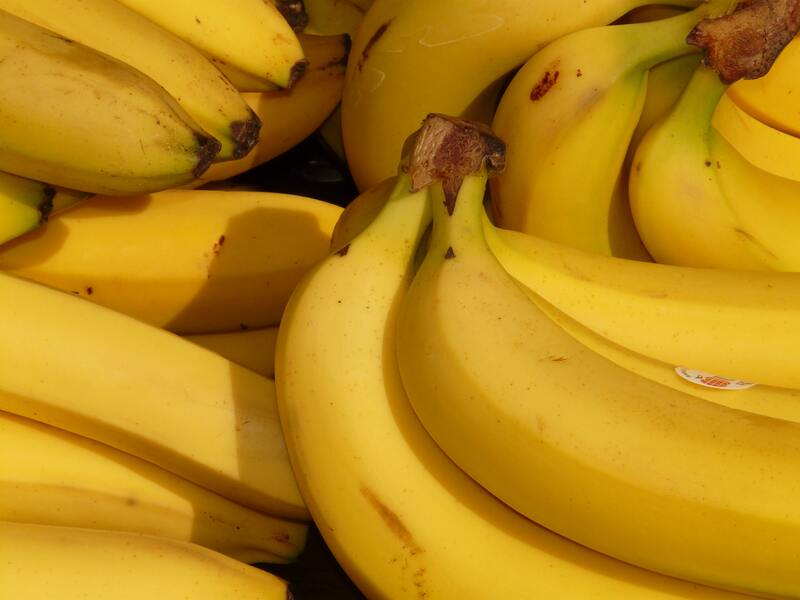 Sharp Mind– Banana contains vitamin b6 which prevents cognitive descent. Cancer– Full ripe banana increase the immunity and produce a matter (TNF) that battle with a harmful cancer cell. Reduce stress– Banana contains an amino acid that reduces stress, improves mood and sleeping pattern. Headache-Consuming more amount of banana cause headache. Banana contains an amino acid that expands the blood vessel and that cause headache. Tooth decay– Banana is full of sugar. If you don’t maintain proper dental hygiene, you will suffer from tooth decay problem. Weight Gain– Banana increases the weight of a person because it is high calorie’s food. Therefore, eat only 2 bananas a day. Digestive problem– Banana contain fiber which is good for digestion but Excess Quantity of consuming fiber cause gas, abdominal pain etc. Nerve damage– Banana contains vitaminB6, their high amount of consumption cause nerve damage. Type 2 diabetes– A Large amount of banana consumption increase the glycemic index which increases the risk of type 2 diabetes. Sleepiness– Banana contains an amino acid that can weaken the mental work and reaction time and apart from making you sleepy. BANANA IS GOOD TO EAT BEFORE WORKOUT? The food plays important role in your workout. Banana is the best food you take before or after the workout. It contains carbohydrates that’s gives fuel to your body. It helps you to stay active for a long time. You can take a healthy meal which contains banana prior to exercise. You always take any food before 60 minutes of any activity.